Here we bring you a detailed and all-inclusive Leica binoculars reviews. 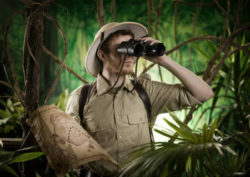 Ever thought of buying a binocular but felt so confused and overwhelmed because there is a huge number of them on the market and you didn’t know where to start? Well, we’ve all being there too. So, let us give you the much-needed help you need with a list of the very best Leica binoculars. Whatever your reasons are for buying a binocular, whether for hunting, bird watching or any other reason at all, there is a fitting Leica binocular for you. Keep reading to discover them. To begin with, why would you want to buy any binocular at all? Though the answer would most certainly be different for each individual, we all buy binoculars primarily to see things bigger. 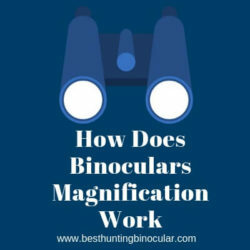 However, binoculars aren’t just all about the magnification, every other aspect like the quality of the non-optical and optical components, field of view, size and so much more. Though Leica isn’t the first name that comes to mind when we think of binoculars, they are certainly one of the best manufacturers today. Leica binoculars offer a cool blend of quality optics and excellent build, both of which are results of research pioneering, use of premium quality raw materials and employment of state of the art manufacturing technology. There is a good number model of Leica binoculars all belonging to one of five broad lines. This resourceful offering makes sure that you find the perfect Leica binocular for whatever purpose you may have in mind. The five major lines of Leica binoculars are, Leica Trinovid binoculars, Leica Geovid binoculars, Leica Duovid binoculars, Leica Ultravid binoculars, and Leica Ultravid HD binoculars. Below are the general pros and cons of binoculars offered by Leica. Highly versatile and ease of use. Few complaints about long-term durability. Quite a number of models like Zeiss binoculars are slightly brighter. 1. Leica Trinovid Binoculars Review – Leica Trinovid BCA 10×25. You can’t ask for a cooler companion than this 10×25 Leica Trinovid binocular which combines portability with high-quality optics. This binocular fits in backpacks easily and provide excellent images that make you remember how beautiful Mother Nature can be. 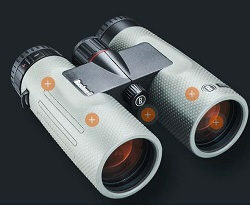 The binoculars feature Leica’s HDC (high durable coating) which ensures that color reproduction is at its absolute best. The 10x magnification brings details of distant objects extremely close to you. You wouldn’t observe any frustration because the binoculars are very stable and are ideal for keeping track of moving objects. The binocular eliminates all worries relating to rain or dampness of the proposed site of application by being completely waterproof. Don’t worry even if you wear glasses because the 14.6 mm exit pupil is long enough to accommodate the glasses without sacrificing any bit of the field of view. Lightweight makes binoculars easy to use for extended periods but you might struggle to hold device still. Again a few complaints about lens covers. 2. Leica Trinovid Review – Leica 8×20 BCA Trinovid. This unique Leica binocular promises handiness and a very high quality. It is ideal as a handy companion for traveling. In addition, this binocular is also very light. With a total weight of just 235 grams, it fits in the bag, backpack without hassles. As with every Leica binoculars, this model also incorporates a high-quality Leica optic. The mechanics are solid and well processed. The Leica binoculars are suitable for a variety of applications such as concerts, sporting events or hiking tours. Even extreme temperature fluctuations have no effect on the functionality of the binoculars. So, these Leica binoculars can also be used without problems in outdoor areas. The very good imaging performance is made possible by the HDC compensation. This creates high-contrast and color-true images. The handy rubber armor ensures that the Leica binoculars feel comfortable and safe in the hands. You do not have to worry about humidity because the Leica binoculars are water-proof. Wearers of glasses will appreciate the integrated diopter adjustment. The magnification power is 8x as the specs suggest and the minimum focus distance is 3 meters. Special coating on the optics for improved imaging. Great grip, water and fog proof. Diopter adjustment for correcting any observed differences in user’s eyes. Relatively close near focus of just 3m. Making adjustments can be quite challenging especially for inexperienced user, once done views are almost perfect. Few complaints about the included case quality. 3. Leica Ultravid 8×20 Review – Leica Ultravid BR 8×20 Compact Binocular. This Leica binocular will definitely convince you. It belongs to the “Ultravid” series which are widely known to be high-performance binoculars. The Leica binoculars come with everything you would expect from a good pair of binoculars: It doesn’t only provide the brilliant image but is also very robust. The Leica binoculars Ultravid 8×20 BR is completely watertight and shockproof. So it is protected from scratch and dents. The minimum focus distance is 2.2 meters. The field of view of 110 meters at 1000 meters is satisfactory for most applications. Overall, an eightfold magnification is possible and the views are sharp all the way to the edges. The weight is only 235 grams. The chassis of this binoculars is made of magnesium, and this explains the low weight. A great feature we must mention is the Aqua Dura coating. This is a hydrophobic coating that not only repels water but even dirt. This makes the Leica binoculars ideally suited for outdoor use and the binocular is very easy to maintain. In addition, the coating protects the optics from external damage. Do you want to dive into a pool with your binoculars? This binocular is waterproof to a depth of 5 meters. Even in low light conditions at dusk and dawn, the Leica binoculars still provide a great imaging performance. The rubber armor provides a great feel and at the same time offers a secure grip so that the binocular does not just slip out of your hands. This model is also suitable for people who wear glasses due to a long eye relief, diopter adjustment and adjustable eyecups. Outstanding optics which delivers in all situations. This binocular is little bit expensive but worthy. 4. Leica Trinovid HD Review – Leica Camera Co. 8×42 Trinovid HD Binoculars. This special Leica binocular impresses with its ergonomic design and offers you excellent views. The good workmanship is there for all to see as well as the longevity and the clever mechanics. 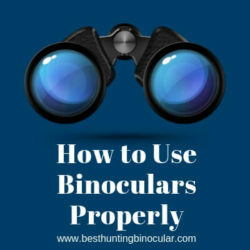 The binocular is very easy to use and impresses with its compact size. It has done well for itself on most Leica compact binoculars review. If you looking for the right model that you can take with you when traveling then this device is the right choice for you! What else do these Leica binoculars have in store for you? If you take a closer look at the Leica binoculars, you will immediately discover the special design. 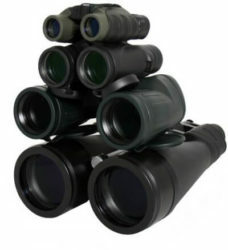 The binoculars thrilled many buyers with its special ergonomics and excellent look. The high optical and mechanical qualities are at their best in this model. Here you get classic binoculars, which meets the expectations of most buyers with its ease of use and high functionality. The binocular is not only very compact and lightweight but also extremely robust and can, therefore, serve you diligently for a very long time. You should also take a closer look at the rubber eyecups which are unique and adjustable to meet the needs of eyeglass wearers. So, what does the price say? Let’s just say it’s great and buyers are thrilled about it! Sharp and bright images and good low light performance. As with most binoculars, the lens covers might come off easily. Though the performance in daylight is superb, same cannot be said of the night time performance. 5. Leica Compact Binoculars Reviews – Leica 8-12×42 Duovid Binocular. This high-quality Leica binocular convinces again and again with it’s 8x and 12x magnification levels and is ideal as a binocular on the go. Its compact size allows you to easily plug in the model and also benefit from the low weight. The ease of use is obvious in this model as well. Experience extremely robustness and a fair price-performance ratio, which you are only too glad to get involved in! On the one hand, this compact Leica binocular offers you highly magnified views and, on the other hand, allows you to recognize very small details at an impressive level of stability. These don’t apply only to the special 8x magnification, but also the detailed 12x magnification, With this Leica binoculars, you should especially look at the patented eyecups, because they impress with their two notch steps again and again, thus guaranteeing you the optimal eye relief, which is individual with each observer! Also, the magnification switching can be done easily even with an object in focus. Another practical feature is the automatic diopter compensation, with this feature dioptric setting can be made and retained even after switching the magnification. This model also adapts to different light condition, because even at dusk, you can look forward to a very detailed observation! Enables switching between 8x and 12x magnification levels. Impressive level of stability even at 12x. Protected against fog and water. Diopter adjustment and focus wheel feel like they are made of plastic. Lots of complaints about the reliability of the warranty offered. 6. Leica Rangefinder Binoculars Reviews – Leica 10×42 Geovid HD-B. This gorgeous full sized 10×42 Leica Geovid rangefinder uses ABC (advanced ballistic compensation) technology to provide users with excellent views in all situations. This rangefinder binocular uses quality Perger Porro prisms and features Aqua Dura coating on the optics for excellent light transmission. The binocular has done very well for itself and only good things have been said about this model. 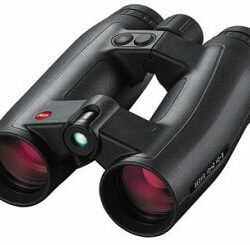 Hunter loves to comb wild areas at dawn and dusk because chances of finding animals are higher at these times; if you are part of the lot share this mindset, then you absolutely need a pair of this binocular the clear and sharp views it offers in low light. This superb binocular is able to 16 ft. of water submersion without damage and it’s is also sturdy and completely armored. The rubber armoring provides protection against dents and scratches and offers the user of the device an excellent grip. It’s not the lightest rangefinder you’d find but the ergonomics is spot-on. The binocular is water resistant. Crisp and clear views offered by the fully multicoated lenses. Comes with great quality accessories. Leica binoculars can be quite expensive but again you only get what you pay for and Leica binoculars do not disappoint. The several great features and functions make them favorites for lots of bird watchers, thrill seekers and even professional hunters. Leica began as a camera manufacturer and the height they’ve attained in the binoculars world is commendable. They’re certainly succeeding where several others have failed. As always, the best place to get Leica binoculars for sale at the best price is on Amazon and when you are ready to make an investment in a binocular, be sure to put our Leica binoculars review to good use.